Drawing is a deeply rewarding hobby and creative pursuit. 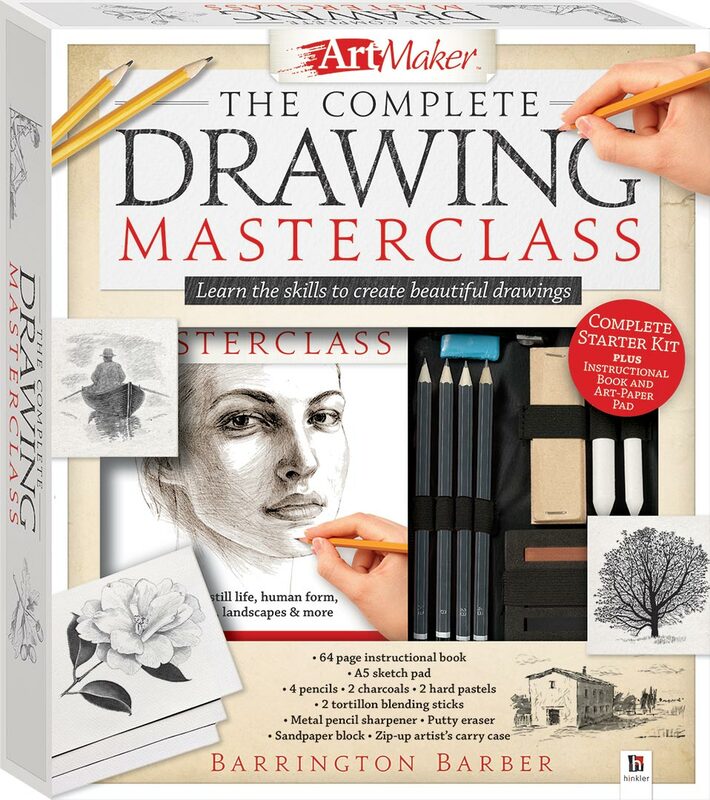 Develop your drawing abilities and hone your skills with this Complete Drawing Masterclass. Artist and author Barrington Barber will guide you through a range of techniques and approaches to see you drawing like a maestro in no time. The 64-page instructional book covers using shape, proportion, perspective and form to create your own artworks. With comprehensive sections on sketching the human figure and drawing from nature, there’s something here for every artist! Use the instructional book to learn the skills to improve your drawing ability, then use these artist supplies within your art-paper sketchbook to push the boundaries of expression and create beautiful pictures!